It’s always nice to find a makeup multi-tasker (remember all those unexpected uses for lip balm?) that can do the work of many, especially considering an overflowing makeup bag can be a hassle while on the go. If you’re familiar with translucent powder, you know it’s a great aid for long-lasting makeup. But what about other uses? Here are all the ways this powder can save the day. 1. 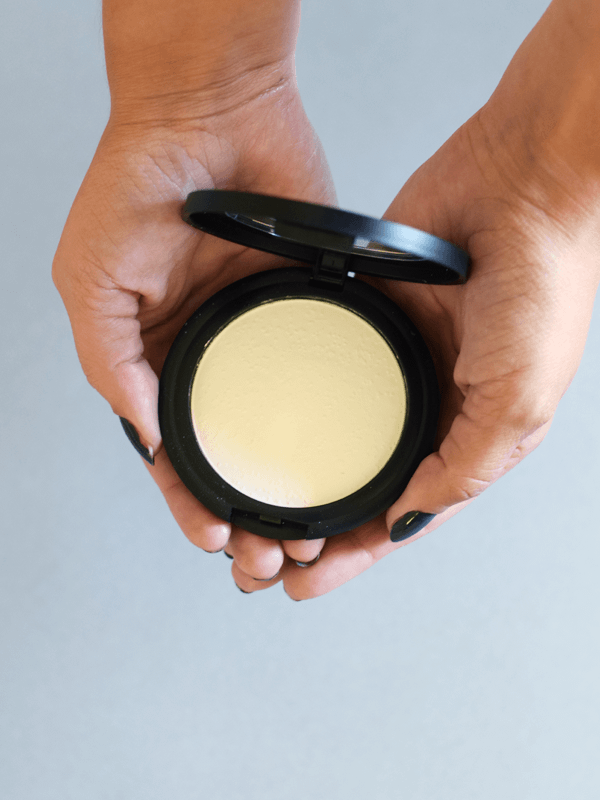 The Cure for Oily Lids – This probably isn’t a huge surprise to some, but translucent powder works wonders to combat the whole makeup melting issue. But there’s a melt-proof solution for those with oily eyelids specifically. Instead of setting your makeup with it, you can apply a product like ILIA Fade Into You, which comes complete with a handy brush, before beginning that smoldering cat eye – ensuring that all that time spent perfecting the winged liner won’t be wasted. 2. Baking’s Final Step – I’ve covered the latest face-makeup trend to take over the internet: baking, which takes a bit more patience than strobing or contouring does. Because you let the concealer “bake” (or set) on your face for 10 minutes before blending it in, you’re really trying to let the product do its work. Using a translucent powder is the can’t-skip final step in this routine, keeping all the product from fading away during the day. 3. Lock In the Lips – While we’re talking about face makeup, we can’t overlook the powder of locked-in lip color. Apply a quick dusting of translucent powder, such as the Laura Mercier’s popular loose powder before you begin your lip color routine producing an effect similar to my anti-feathering lip trick, where you’re left with a primed pout. 4. Matte-ify Any Lipstick - If you’ve been in the beauty circles for a few years, you’ve probably seen those “Matte-ify any lipstick” articles going around. Well, if you overlooked them then, now you know the secret: translucent powder. All you have to do is apply your fave lip color, blot it with a tissue, and then dust the powder over lips to reduce the shine. You can either hold one thin piece of tissue to your lips and apply the powder over it with a brush, or just sponge the product directly on lips. 5. Beyond The Face – Sure, translucent powder is generally made for a long-lasting visage, but the same principles apply elsewhere on your body. If you find yourself feeling anxious or stress, a little powder can go along way. You can apply it to sweaty or clammy palms – or yes, even feet – to combat the issue. Translucent powder actually helps to absorb and clear away excess oil and water that can materialize due to stressful situations. 6. Pump Up The Volume – Lastly, we’re onto one of the best translucent powder tricks of all: better hair. If your hair has trouble holding volume (often a major fine hair issue) or even if it just needs a quick pick-me-up, simply rub some product… RMS Beauty’s “un” powder is yet another option… into your roots for an instant boost. This makes a great substitute for dry shampoo when you’re in a bind. Got any secret uses of translucent powder to share?